For any first-time exhibitors at a trade show it can be an exciting but daunting experience. Earlier this year, I had the pleasure of exhibiting at the Life Instyle Sydney exhibition. It’s one of a handful of retail trade exhibitions that occur twice a year, connecting business owners of products and brands directly with retailers. If you are unfamiliar with trade shows, these differ to weekend markets in that all products are sold on a wholesale basis, with the buyer (shop owners) ordering at the trade show. Exhibitors later fulfil the order by providing the stock after the trade show period has ended. As thousands of potential buyers can pass your stand, it literally pays to be prepared. Here are a few tips that I learnt through exhibiting at my own first trade show. Your wholesale terms and conditions are the backbone of any wholesale transaction with a buyer. Terms and conditions define certain obligations and outline key points of the selling agreement between the buyer and the seller (you!). I recommend that terms and conditions include details of minimum order amounts, payment options, turn-around time, shipping details, and refund and cancellation policies. Cancellations do occur from time to time and the last thing you want to be is out of pocket due to a buyer who has changed their mind. 2. Be prepared for buyers to ask you about ‘exclusivity’. 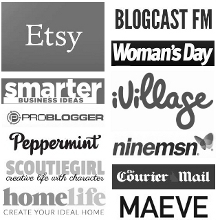 Exclusivity (also known as postcode block out) is a popular word at trade shows. Buyers may ask you for exclusivity before placing an order. Essentially this means that once an exclusivity agreement has been made between yourself and the retailer (and an order placed), you have committed to not selling your product to new buyers that operate stores within the neighbouring area, often within the same postcode. This is one method that a buyer will use to ensure that their store does not stock the same products as competing neighbouring stores. Having a well thought-out response to this question before exhibiting at the trade show is integral. Determining whether you will offer exclusivity is a business decision and there is no right or wrong answer. At the end of the trade show you may feel like a nightclub promotional girl (or guy! ), but handing out brochures, business cards and line sheets (or catalogues) to buyers is essential. A good line sheet has a list of all your products currently available for wholesale purchase, each with a photo, an SKU or product code, wholesale price and a short description if necessary. When asked for your line sheet don’t be afraid to ask for the buyer’s business card in return. This provides you with their contact details so you can follow up with them post trade show, should they fail to place an order. My advice to you is to ensure you have enough line sheets printed and prepared well and truly before the tradeshow. I had the unfortunate experience of having to re-print hundreds of line sheets the day before flying out to the trade show after a printing error on my behalf. It was a stressful experience that could have been avoided had I been organised with my line sheet 2-4 weeks prior to the trade show. Be mentally prepared for some seriously long hours. If you’re anything like me and spend most of your days sitting at your desk beavering away in quiet isolation, well… trade shows are the complete opposite. Trade shows generally run between 8-11 hours a day over a 3-4 day period. During this time you will be standing (not sitting!) and speaking to various interested buyers. While it is a challenge to appear permanently happy standing for ten hours a day it is important to greet each customer as if they are your first customer for the day. Smile, be polite and answer the questions regardless of whether you’re at the end of a ten hour day. Impressions last with buyers and you want to make the purchasing experience pleasant and as easy as possible. To secure a few extra sales, it may be beneficial to have a time limited promotion that is valid only for orders placed at the trade show. This could include offering a percentage off your wholesale amount, free shipping or a free product. This may be all that’s needed to bump a waning buyer into a committed buyer. Not next week, not even when you return to your home city, but after the trade show when you get back to your hotel. It keeps your order fresh in the buyer’s mind and it allows them to prepare financially for your order. 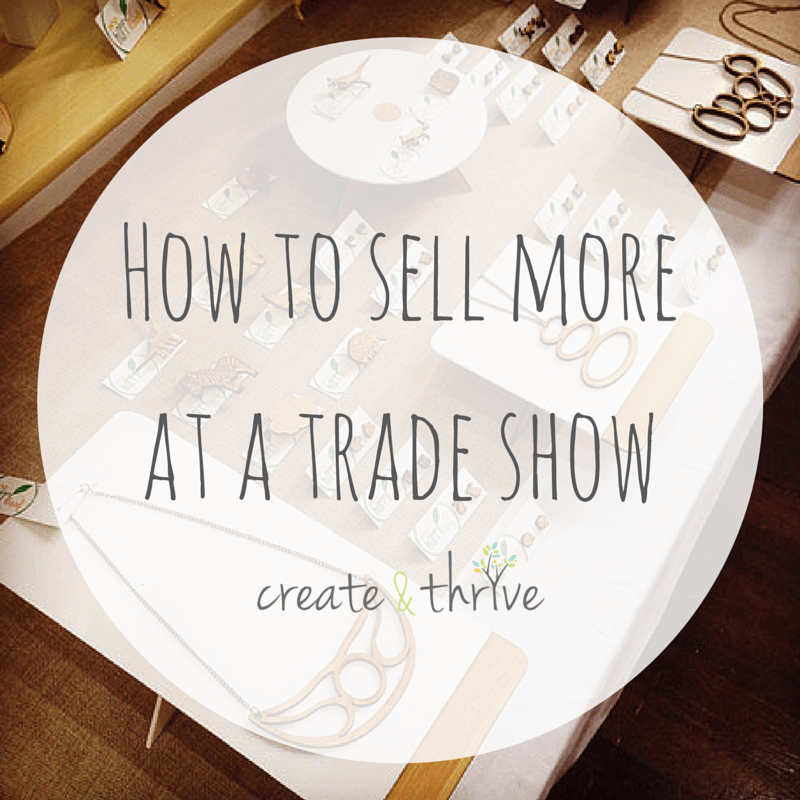 Buyers often attend multiple trade shows and buy from tens (or hundreds, depending on the size of the retailer!) of different exhibitors. By doing so, it shows the buyer your commitment to fulfilling their order and keeps your business fresh in their mind. Better yet, your invoice may be a given higher preference for quick payment than other invoices received at a later date. While it is tempting to accept orders from a diverse range of stores, I recommend that prior to accepting an order with a buyer you first learn about the type and style of store the buyer owns or is managing. 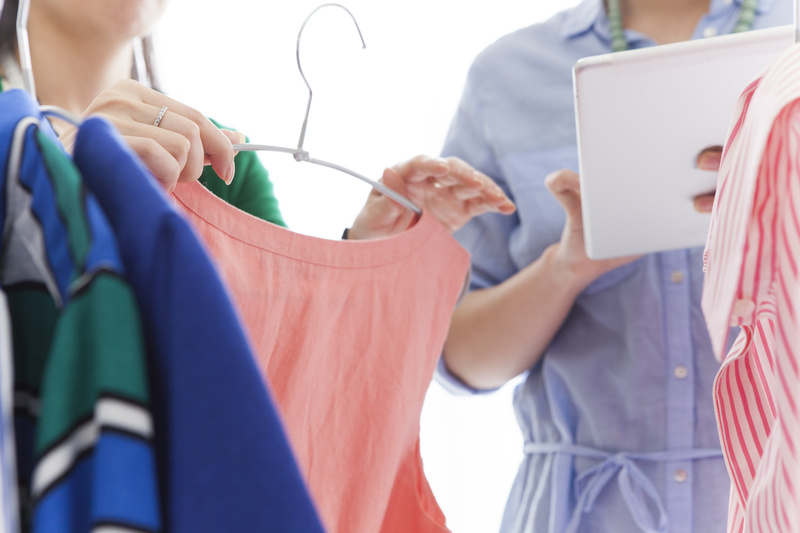 The best stores are the ones that attract customers who align with your ideal customer. While uncommon, some exhibitors reject orders from certain industry retailers when there is a belief that the store is not suitable for their product. I heard of one exhibitor rejecting a $6000 order because they believed that the buyer’s franchise would potentially cheapen their brand! Finally, for anyone who is contemplating attending a trade show, I would recommend first walking the trade show prior to applying to exhibit, so you can get the feel of how a trade show operates. Exhibiting at a trade show can be hard work before, during and after the show. However, it’s a rewarding experience with great opportunities not only to connect your business with buyers face-to-face, but also to meet and network with like-minded creatives to build lasting friendships. If you want to expand your wholesale biz by attending trade shows, make sure to join us for Gold or Platinum Membership to the new C&T e-course: Wholesale Know-How. Not only will you take part in a 30-day course that will teach you all you need to know to successfully wholesale your handmade goods to stores, Gold + Platinum Members will also receive an extra module of lessons that teach you everything you need to know to have a successful trade show – with all the nitty-gritty details.